 Hi I wanted to write in and tell you about an incredible experience I had with a psychic from the Network of Christian Psychics.  I went to their site because they were mentioned as being really good Christian psychics on a forum I was at. What I loved about them is that they all believe in God and in Angels. I have used four of their Advisors and they were all so kind but most important they were all so very accurate. One named Rev. Jay was able to see that I was having difficulty with a job situation and he made suggestions on how to change it, I did and it worked. I even got a promotion with a raise. Then the next time I went to their site Rev. Jay was not available and I used another Advisor I think her name was either Suzie or Lori but which ever it was I can just say they were fantastic. I was crying when I called in (which is why I do not remember her name, I'm sorry!) Because my fiancé had just dumped me in a text message of all things. Well the advisor calmed me down and then we talked and the oddest thing was she just made me feel such a sense of peace about my life. But even more important she told me it was okay because I had not yet met the man I was going to marry and that I would within the next four months. Well low and behold at exactly three and a half months I met the brother of a co-worker at a company function and it was truly like love at first site. I realized then and there this was my man for the future. Well we have been looking for engagement rings and I just have to say Two Huge Thumbs Up for the Network of Christian Psychics because if it had not been for them truly only God knows what I would have done. They made feel good, led me in the right direction and showed me that the right man was in my near future. So I just wanted to put in a good word for them! Has anyone gotten a reading from Dr. Ginny and, if so, how accurate are her readings?